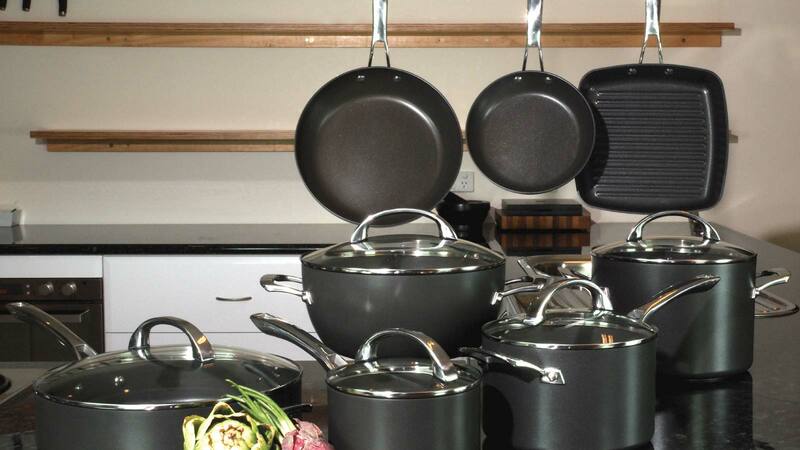 Cookware designed for the most discerning home chef, Anolon is globally renowned as a premium quality, innovative cookware that helps you get the best results in the kitchen. 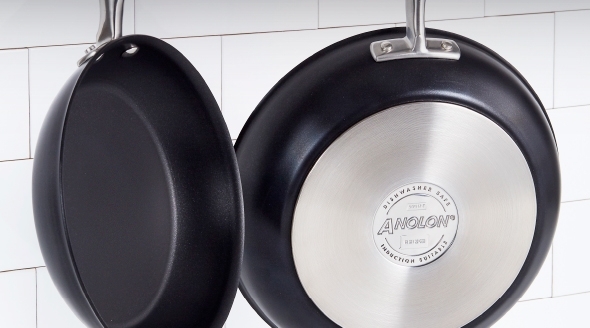 All Anolon cookware features exclusive multi- reinforced DuPont ™ Autograph®2 non- stick which is designed to outlast traditional non- stick coatings for maximum food release and easy cleaning. 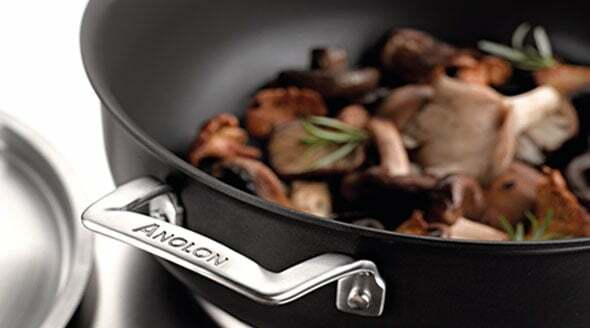 The durable construction and professional standards to which Anolon is manufactured makes Anolon cookware the choice of home chefs since 1984. Experience a new standard of superior culinary performance and convenience with the durable, dishwasher safe Anolon Authority. Anolon Authority begins with commercial-strength, heavy-duty hard-anodised construction, and continues with an innovative exterior that makes this cookware uniquely dishwasher safe. 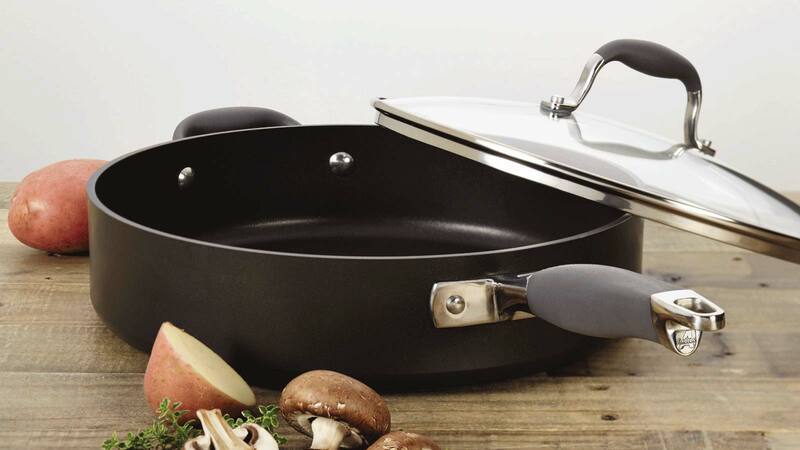 Merging metal-utensil-safe non-stick cooking with exceptional food release, the interior of this gourmet-quality cookware features triple-layer PFOA-free premium-quality non-stick. Oven safe to 240°C, with polished stainless steel handles to provide durable support with plenty of room for potholder grip. 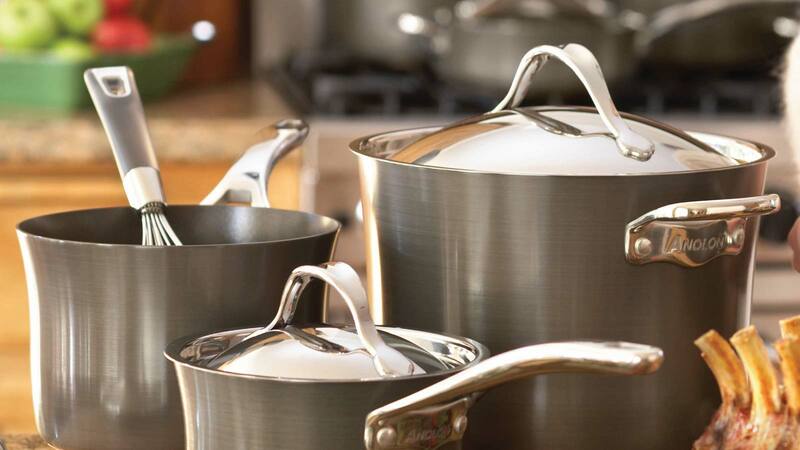 Anolon Authority is the home chef’s perfect culinary team partner, and with its Lifetime Warranty, makes an ideal companion with other gourmet-quality Anolon kitchenware. Available exclusively in store at Myer. Elegant Anolon Nouvelle Copper boasts hard anodised construction and a double full cap base comprised of a copper core and layered aluminium, encapsulated in magnetised stainless steel for optimum heat conduction and superior heat control resulting in perfect cooking every time. The premium quality multi-reinforced nonstick offers excellent food release and easy cleaning, and is metal utensil safe for convenience. Stainless steel lids lock in heat and flavour while the cast stainless steel handles look beautiful and are oven safe to 260°C. Induction suitable and perfect for cooking delicious meals everytime, look no further than Nouvelle Copper. 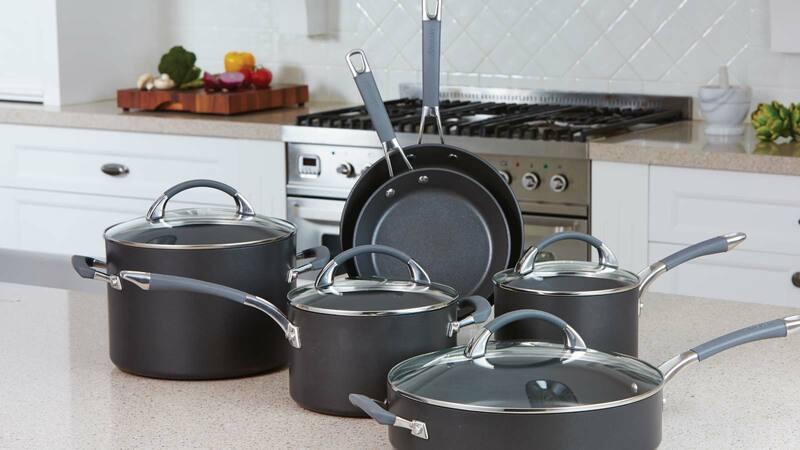 Classically styled with a polished stainless steel exterior, Anolon Tri-Ply cookware offers timeless, professional-quality design. Constructed from a durable tri-ply stainless steel with an encapsulated aluminium core, this premium Anolon cookware ensures optimal and efficient heat distribution and even cooking. Suitable for use on all heat sources, including induction.